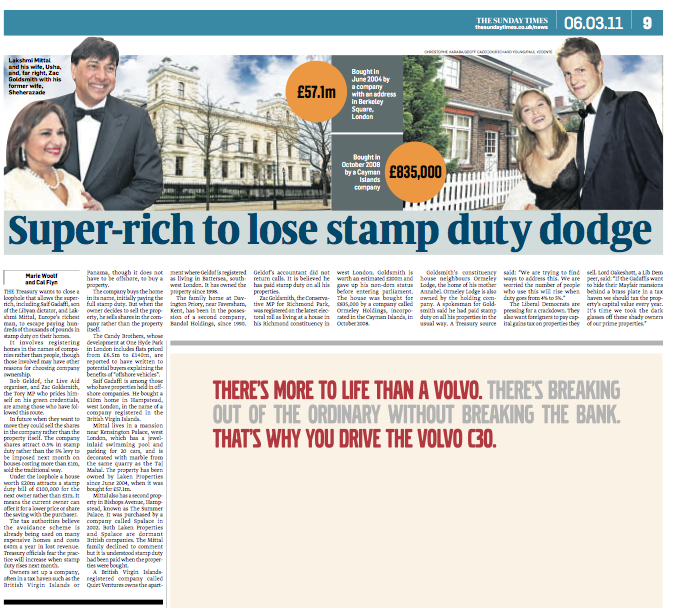 I co-wrote this article about Government plans to close a tax loophole which allows stamp duty to be avoided on multi-million pound properties, by buying and selling them via an overseas company. This way, it is only the shares in the overseas company that change hands when the house is sold on, a transaction which attracts very little tax in territories like Panama or the BVI. Legal note: both the Mittal and Goldsmith families said that stamp duty was paid when the properties mentioned in the article (all held through overseas companies) were purchased.